A full day workshop with RtI expert Andrea Ogonosky. 8:30 am to 4 pm. Breakfast will be provided. Lunch on your own. This workshop empowers & resources educators to proactively address the tough social and emotional problems occuring within the school/classroom setting, and to implement the behavior portion of Tier 1 with integrity. 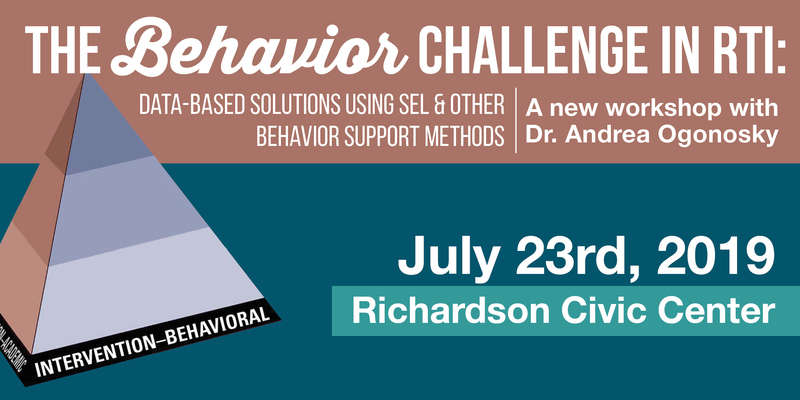 Join school psychologist and RTI expert Dr. Andrea Ogonosky as she provides a guide to laying a strong foundation for Restorative Practices and Positive Behavioral Interventions and Support. Educators often cite legal compliance as a challenge to implementing RTI and MTSS in the classroom. However, there are very simple and effective processes that can be embraced at the district-level in order to decrease these challenges. In this workshop, we will discuss all the elements inherent in the RTI process – including the importance of a strong foundation for Restorative Practices and Positive Behavioral Interventions and Support – while providing ideas and examples to increase RTI knowledge and resources on campus. Educators will leave feeling better equipped to proactively address the tough social and emotional problems occuring within the school/classroom setting, and to implement the behavior portion of Tier 1 with integrity. We will cover several trauma-informed educational practices to support the social-emotional and behavioral needs of students, as well as discuss cultural diversity with regards to religion, ethnicity, and marginalized groups. This workshop seeks to provide information to increase staff awareness, and provide specific strategies in order to determine appropriate, culturally-responsive solutions to behavioral concerns. 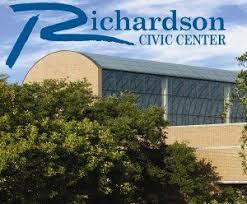 Attendees will receive a Certificate of Attendance for 5 Continuing Education hours. 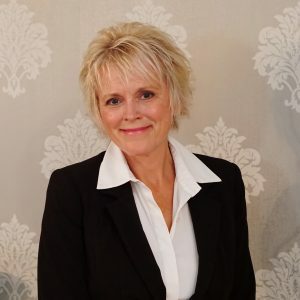 Dr. Andrea Ogonosky is a licensed psychologist, a licensed specialist in school psychology, and a nationally certified school psychologist who currently serves various roles in school districts across the United States. Her job duties include assessing students for IDEA disability conditions; conducting program reviews on Response to Intervention, Section 504, and Special Education; designing Response to Intervention systems of support for small, medium, and large school districts; providing professional development on a variety of educational and assessment topics; supplying expert testimony at local, state, and federal court; and supervising school psychology students at the master and doctoral level. We also offer in-district RtI trainings with Dr. Ogonosky. Customize an on-site professional development day with your team!